Guest Expert Monthly Placement Reinstatement - Radio Guest List.com - How to Get Radio Interviews and Find Podcast Guests! 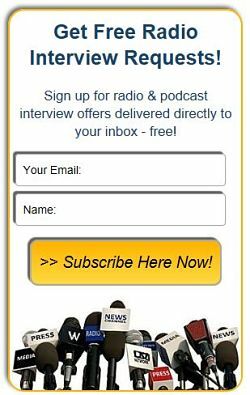 Thank you for your interest in reinstating your RadioGuestList.com Featured Guest Expert Listing monthly promotional service. To reinstate your Guest Expert Profile posting on RadioGuestList.com, we’re pleased to offer you the renewal rate of only $29/month. This Guest Expert promotional placement will keep your customized Guest Expert page live on RadioGuestList.com and also maintain your listing on the Guest Experts page. This inexpensive service keeps your expert qualifications visible online to visitors worldwide, helps to improve your own web site's search engine results (SEO) strategy, and continues attracting talk show booking requests, too. You will be billed automatically each month but can cancel any time that your promotional plans change.